Treavor Moontribe and Amani Friend of Desert Dwellers. TALOA Music Festival is excited to announce 36 additional artists to its lineup. The festival is set for September 25-27 in Guthrie, Okla. 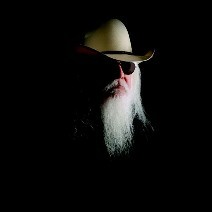 Leading the pack, legendary rock and roll Hall of Famer and native Oklahoman Leon Russell takes the stage Friday, September 25. Russell has played pop, rock, blues, folk, bluegrass, country, gospel, standards, and surf records over the span of his 50-year career. He has collaborated with hundreds of artists, including George Harrison, Sir Elton John, Glen Campbell, Willie Nelson, Bob Dylan and Frank Sinatra. A special surprise for string music fans, Drew Emmitt Band with members of Leftover Salmon and The Travelin’ McCourys are launching a new blended project called Leftover McCoury Jam. They will play their first set together at TALOA. The self-described heavy instrumental, rock-fusion band from New York, TAUK, joins red-hot artists SunSquabi and Vibe Street, while the culture-crossing, downtempo sounds of internationally acclaimed Desert Dwellers bring their signature aesthetic. TALOA also welcomes five artists from The Mile High Sound Movement, a Colorado-based artist collective. TALOA festivalgoers will groove to Proper Motion, SoDown, Unlimited Gravity, Project Aspect and Kruza Kid. “Our top priority is to make every single party different with the intent to build strong bonds with friends old and new, to create a family with a foundation built on the community and support,” said The Mile High Sound Movement. “Between festivals like TALOA in Oklahoma, Euphoria in Austin, and Wakarusa in Arkansas, the Southwest festival scene is quickly gaining a lot of momentum,” said Kevin Woods, Managing Partner, Euphoria Music Festival. TALOA producers, in part with the City of Guthrie and the town’s local business leaders, have mutually agreed to move the festival from the Cottonwood Flats to historic downtown Guthrie. “Downtown is the soul of Guthrie, and we decided that moving the stages will enable a stronger community collaboration and a more dynamic festival experience.” said Nathan Trotter, Founder and Executive Producer, TALOA Music Festival.To purchase tickets and learn more about the festival, visit TALOAfestival.com, and follow TALOA on Facebook, Twitter and Instagram.